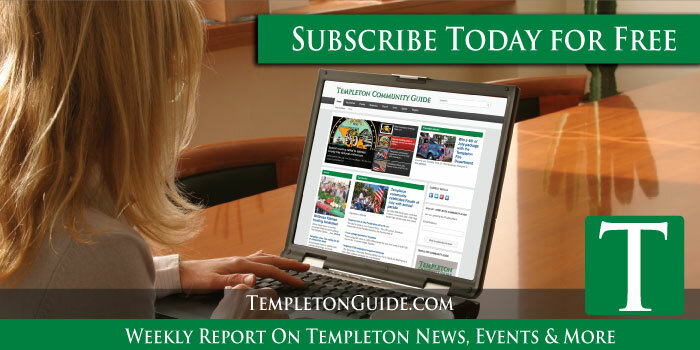 –Templeton High School Drama will present And Then There Were None, a thriller in three acts. 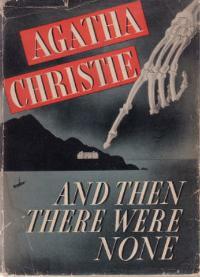 One of Agatha Christie’s darkest tales and a masterpiece of dramatic construction, its growing sense of dread and unfaltering tension will keep you guessing to the very end. Directed by Templeton drama instructor Catherine Kingsbury, the play will be performed at the Templeton Performing Arts Center over two successive weekends: Thursdays through Saturdays, Nov. 1- 3 and Nov. 8-10 at 7:00 p.m., with two matinee performances at 2 p.m. on Saturday, Nov. 3, and Saturday, Nov. 10. Tickets are available at Brown Paper Tickets (bpt.me). As the play opens, ten strangers are summoned to a remote island. All that the guests have in common is a wicked past they’re unwilling to reveal and a secret that will seal their fate, for each has been marked for murder. As the weather turns and the group is cut off from the mainland, the bloodbath begins and one by one they are brutally murdered in accordance with the lines of a sinister nursery rhyme. In writing the stage version of one of her most successful and darkest novels during World War Two, Agatha Christie responded to the mood of the times by introducing a more positive ending. The play is set in the living room of a mansion on Soldier Island, off the coast of Devon, England, in August 1945. It was a smash hit in the West End and on Broadway. Adult tickets for And Then There Were None are $12 and student tickets are $10. In addition, there is a special talk-back event following the Friday performances. For $20, you can see the show and then get back into the theatre to visit with the cast and crew for about 30 minutes. You can ask questions about the production and about their individual goals and experiences. Proceeds will benefit Eagles in Edinburgh.